From BOOM! Studios, starting in April 27, 2011, an ongoing series in the classic Planet of the Apes universe, written by me, with art by Carlos Magno. It’s the peak of ape-human civilization, but it’s all going wrong. We’ve got religion, politics, assassination, and of course, apes on horseback. 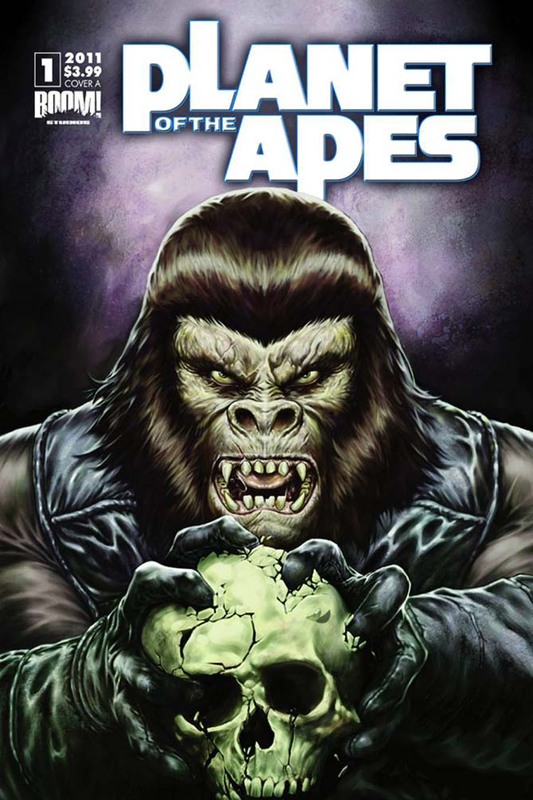 The five-page preview (as well as a few covers) at Robot 6 Take a look at how that Carlos Magno draws apes! Comic Book Resources has a nice review of the first volume, which collects issues 1-4. You can find Volume 1, Volume 2, and Volume 3 out already, and the last of the series will wrap up with Issue 16.